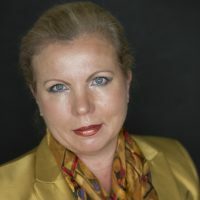 Dr. Svetlana Kishchenko is a Clinical Associate Professor and Lecturer at the University of British Columbia, School of Population and Public Health. She has substantial and diverse experience in Global Health and Public Health. Her background involves experience working with the United Nations, WHO office in NYC, consulting to WHO, government, health services and public health organizations. She is involved in concept-based teaching at SPPH and the Faculty of Medicine and supervision of students for FLEX projects in an undergraduate medical curriculum. She is currently teaching SPPH 411 “Violence across the Lifespan” course and advising the development of Gender Based Violence research programs that bridge Public Health and Medicine.